It’s a formula that many outdoorsy types swear by: Great hike + great beer afterward = really great day. Fortunately for adventurers in the Bay Area, there are about as many choices for excellent trails in San Francisco and beyond as there are watering holes where you can hoist a pint or two afterward. And what better way to pair quintessentially Northern California trail experiences—routes winding through serene redwood forests, along mountainside paths through grassy meadows, and above the mighty Pacific on beachside bluffs—than with a tasty, California-made craft brew? Here are five sure-to-please trail to tavern pairings in San Francisco and the Bay Area. Point Reyes National Seashore, the slender finger of land bordered on the west by the Pacific and the east by Tomales Bay, is a hiker’s paradise. It’s only about an hour north of the city, but the rugged coastline, grasslands, and coastal trees, often shrouded in a mysterious layer of fog, evoke the feeling of being worlds away from the urban hustle. 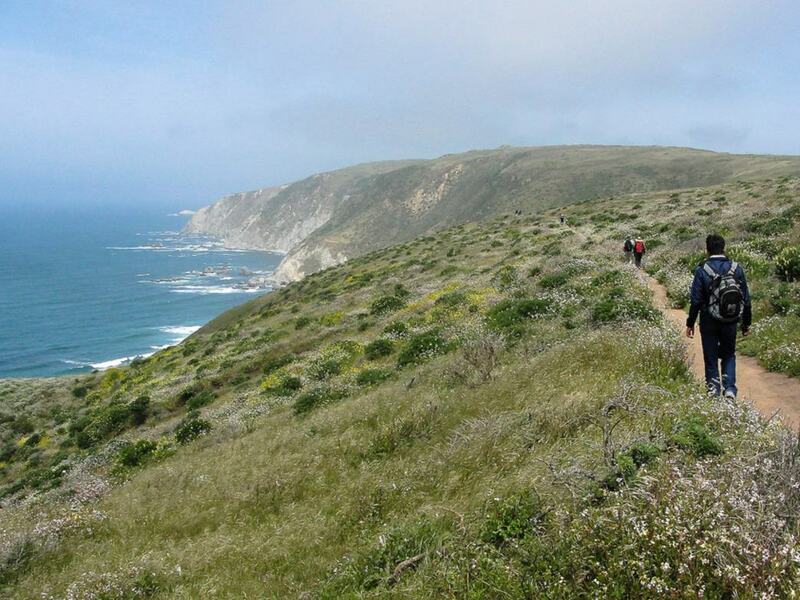 Choose from more than 150 miles of hiking trails, but the 10-mile out-and-back to Tomales Point is a solid option both for its scenery and relative ease. Make it up there on a weekday, and the only company you may have are cows and tule elk, 700-pound beasts that roam freely about the enclosed reserve through which the trail winds (their late-summer rut is an unforgettable experience). However far you go, you’ll still have earned your pints afterward; head to Petaluma and the Lagunitas Brewing Company, a pioneer in Northern California’s craft brewing scene. Perennial favorites include Little Sumpin’ Sumpin Ale and the aptly named Hop Stoopid, as well as a rotating selection of seasonals. Bonus for hikers: The taproom stays open until 8pm on Saturdays and Sundays, and on weekdays, there's live music, which promptly starts at 4:20pm each day. After emerging from the forest into the hippy enclave of Stinson Beach, head straight for the Sand Dollar , a cozy restaurant that has been serving patrons since 1921. Order up one of the usual suspects (Lagunitas, Scrimshaw) on draft, snag a table on the patio, and toast to doing the Dipsea. 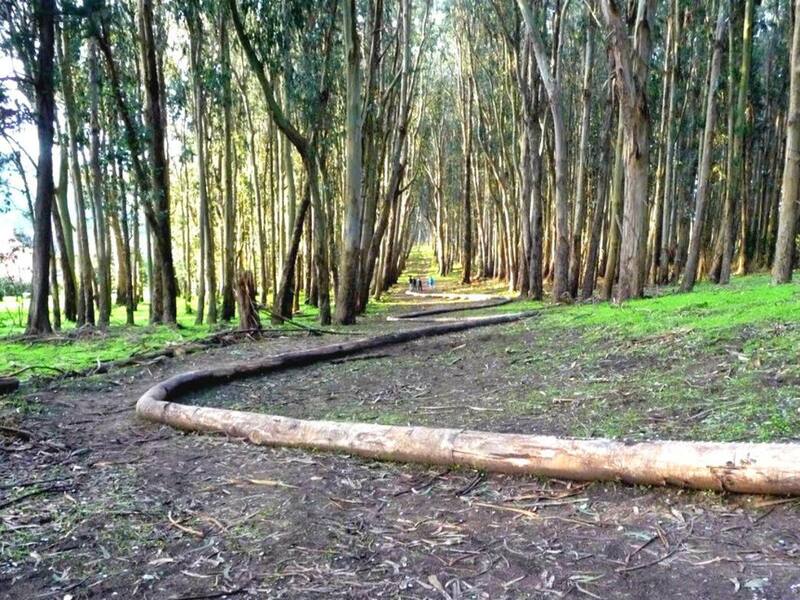 As far as urban escapes go, it’s hard to beat the Presidio, a former Army post that boasts 1,500 acres of stunning wilderness, with redwood groves, wild ocean bluffs, and 24 miles of trails that wind through it all. 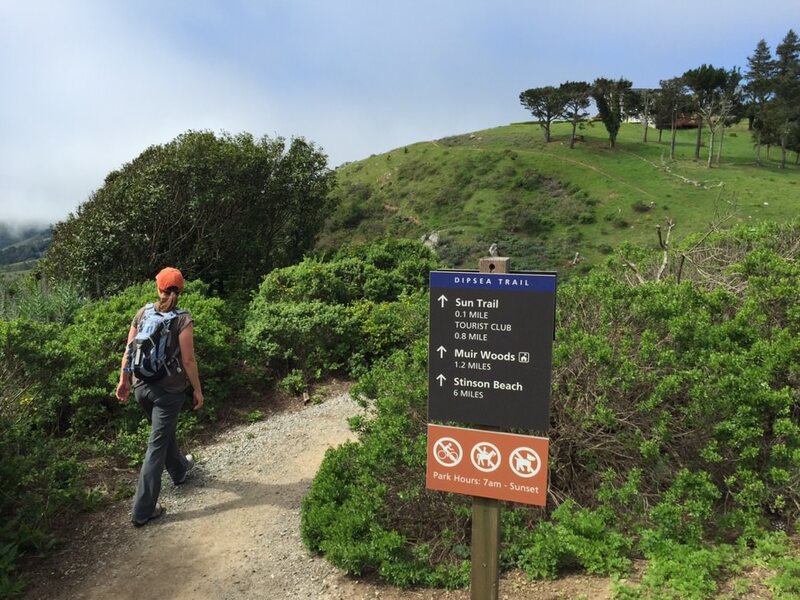 There are options for all kinds of hikers, but a crowd-pleaser is the relatively flat, 2.5-mile Presidio section of the Bay Area Ridge Trail. Highlights include a piece of artwork called Spire, a 90-foot sculpture made of 38 cypress trunks, old-growth forests, and views of the bay from the serene National Cemetery Overlook. Another popular route is the Crissy Field Promenade, less of a hike and more of a walk (it’s perfect for families) along the waterfront, with unbeatable views of the Golden Gate Bridge. For your post-hike pint, forgo the attitude of most Marina bars and their patrons and make a beeline to the Final Final, an old-school SF hideout that's blissfully void of most Instagram-snapping crowds known to swarm in these parts. 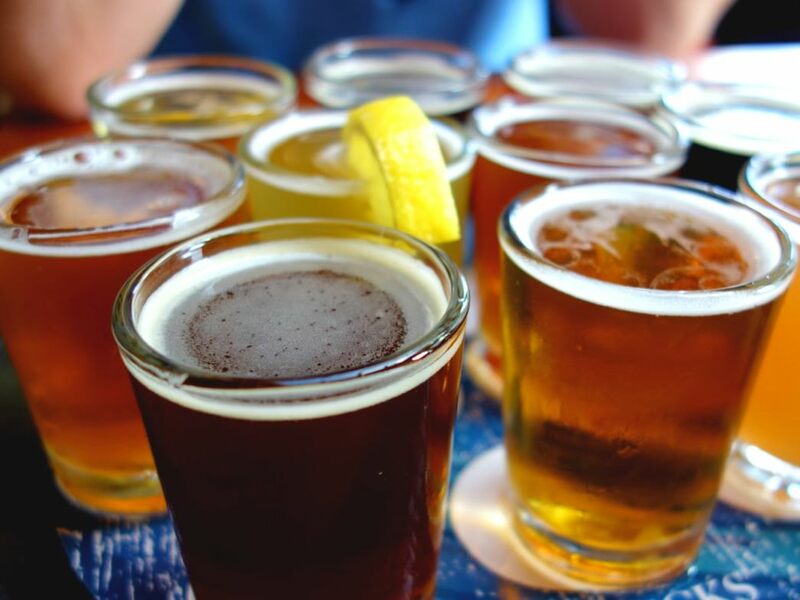 Instead, there’s plenty of cold draft beer, pool tables, television screens showing games, free popcorn, and solid bar grub to keep you and your hiking buddies happy. 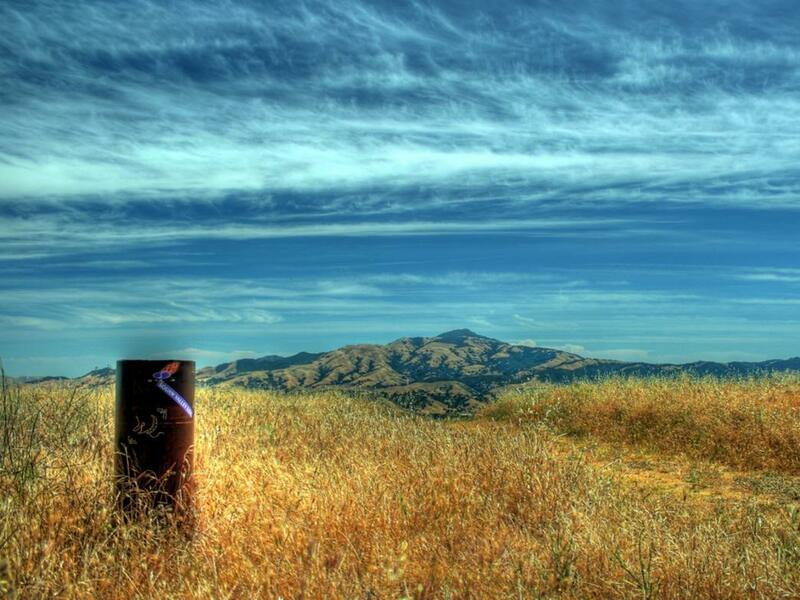 Eager peak baggers in the Bay Area should head right to 3,848-foot Mount Diablo , the highest peak in the East Bay. Though it’s not particularly high, the summit offers gobsmacking views of the Bay Area and beyond, as far as 200 miles away. On a clear day, you may be able to see the Farallon Islands to the west and even as far north as Mount Saint Helena in the Coast Range. A number of routes reach the summit, including a challenging 6.8-mile one-way trip, or the less strenuous one-mile hike on the Juniper Trail from the Diablo Valley Overlook, at the entrance to Juniper Campground. However you go up, make sure you hit ØL Beercafe & Bottle Shop in Walnut Creek after making it back down. Beer geeks will go bonkers for the head-spinning menu of rare and unique brews available—currently on the draft list are obscure selections including Woodfour Nurple, the Gnome Gruit, and Kleine Stouterd. Hundreds of carefully curated bottles are available as well. An easy drive to Big Basin State Park, California’s oldest state park, is more than worth it for the world-class hiking here among the majestic redwood ecosystem. 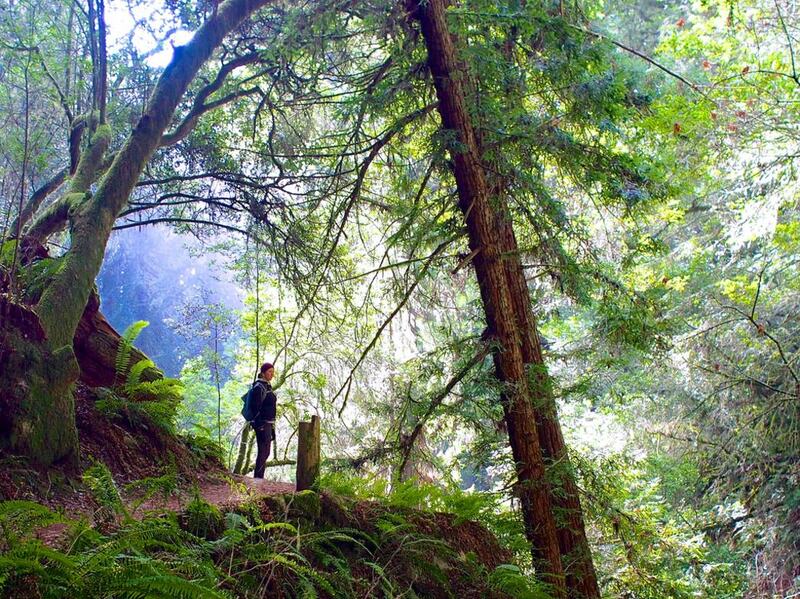 The park features 80 miles of trails, and the approximately 9-mile out-and-back to Berry Creek Falls is a stunner, winding through redwood groves, along a steep canyon, and culminating in the beautiful Berry Creek Falls. One caveat: Heavy rains in early 2016 caused damage to several other waterfall trails in the park, meaning that there might be more traffic than usual on the Berry Creek Trail. You’ll have to drive a ways to hit any watering hole for your post-hike pint, so go ahead and head north for one of the Bay Area’s most beloved breweries: Half Moon Bay Brewing, located just a stone’s throw from the world-famous Mavericks surf break. Snag a table on the enclosed patio and order up classic favorites like the amber ale or IPA—there are 10 draft selections available year-round, piped right in from the brewery next door.